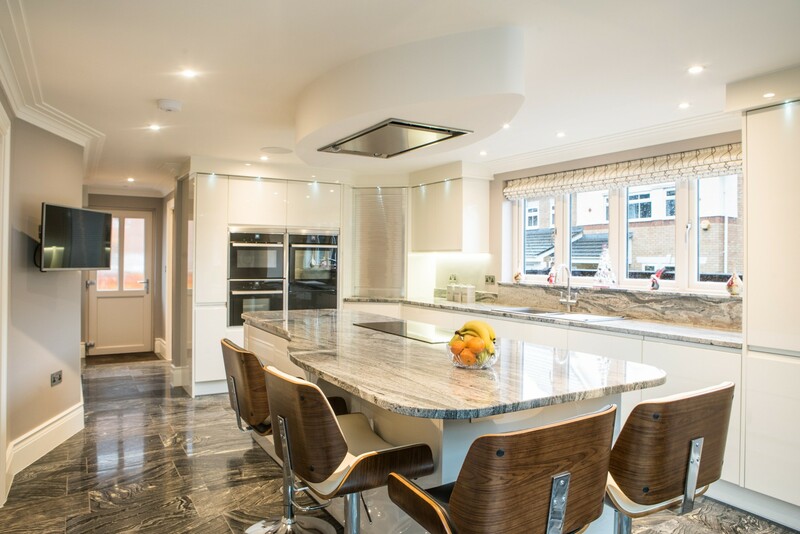 We catch up with Molly to get some insight on current kitchen design trends! Molly, about 18 months ago we spoke about the rise of ‘trad-temporary’, is this still an ongoing trend? Oh 100%, trad-temporary is still very much where it is at! I would say in the past it was fairly straightforward to identify the period a kitchen was from, i.e. “that’s an 80’s kitchen, that’s a 90’s kitchen”, whereas now it’s much harder to date kitchens as customers embrace a ‘trad-temporary’ look that actively avoids committing wholly to either a traditional or contemporary style, creating a look that is much more timeless. 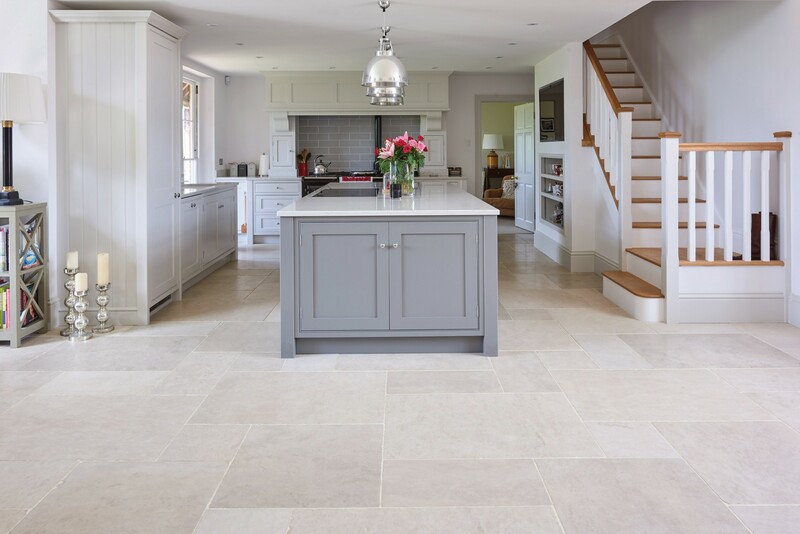 For example, you might see a limestone floor in a honed finish with crisp joints, which give a modern edge; this is then paired with modern handless cabinets and topped with a marble look a-like quartz, like our Teltos Statuary or Borghini, or a characterful natural granite. What about other trends and preferences you are seeing? Underfloor heating has become very affordable in the last few years and we’re seeing more and more people opt for the luxury of underfloor in their kitchens and bathrooms. The lovely thing about natural stone is that it takes on the temperature of the room and is a fantastic heat conductor! We all spend increasingly more and more time in our kitchens and how nice it is to have the option of a snugly heated floor in winter. I have underfloor heating under limestone tiles in my bathroom and it’s a total joy! 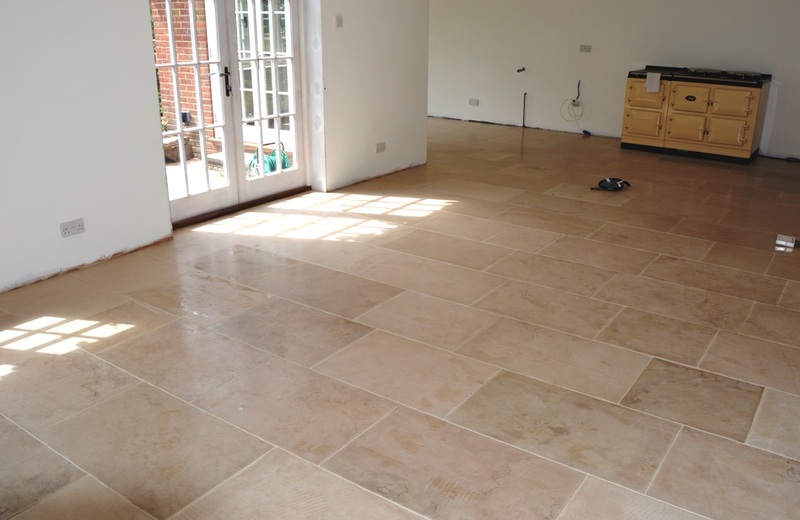 I am completely sold, and I think as the cost of underfloor heating comes down, it will be an increasingly popular option and all the more reason to choose a beautiful natural stone floor! 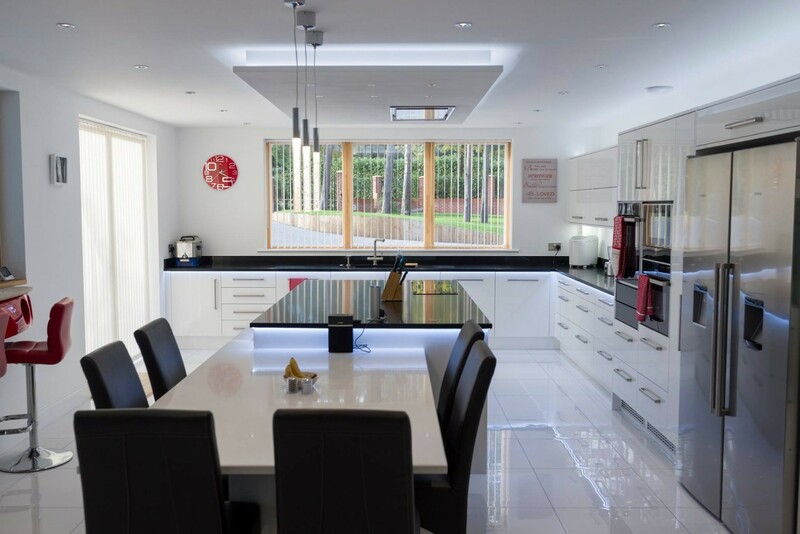 Open-plan kitchens are nothing new, but I think as the kitchen becomes an increasingly vital part of the family home this trend is only getting stronger. Open-plan combined kitchen/dining rooms are all the rage, and in many respects, separate dining rooms are dying out when it comes to the modern home. However trite it may sound; the kitchen is the heart of the home, and it is to the kitchen that people are naturally drawn. 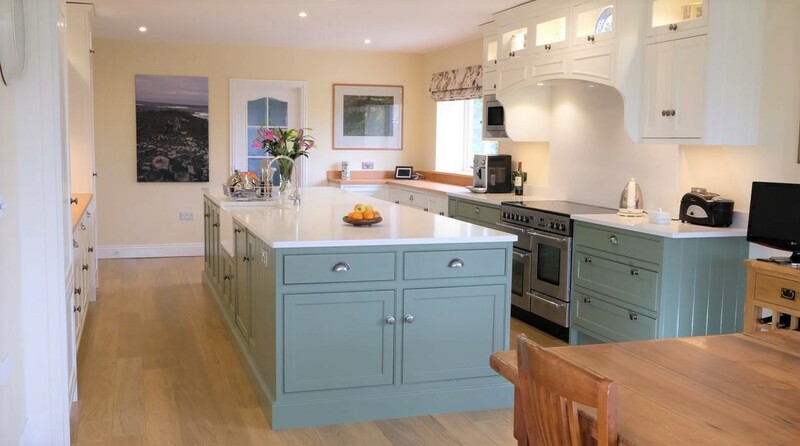 As the busyness and stresses of modern life increasingly put pressure on the vital work-life balance equilibrium, I think there is nothing more important than creating an appealing, warm and welcoming kitchen environment where quality family time can be spent! I have recently seen some splendid examples of open-plan kitchens, that seamlessly combine both kitchen and living room functions in one whilst crucially maximising space! Large central kitchen islands that incorporate a prep sink or induction hob at one end and a breakfast bar or dining space at the other are wonderful means to creating a more sociable and inclusive cooking space for the whole family. Large-format flooring has been increasingly popular recently. 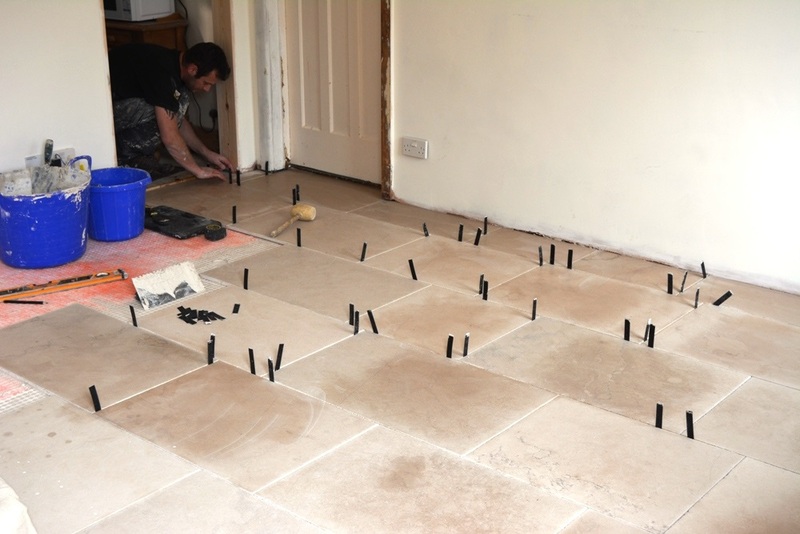 Customers are opting for larger limestone tiles (600-800 square). Limestone is quarried in smaller blocks than marble or granite, and therefore larger tiles do bring the prices up, but the results can be stunning. ‘Planking’ style flooring is also increasingly popular; this is where all the tiles are the same width but are laid in differing lengths, which can look amazing, and marries best with more traditional style kitchens. Feature flooring is certainly a trend that is coming back in. At the KBB Show this year, I noted lots of larger format patterned tiles. 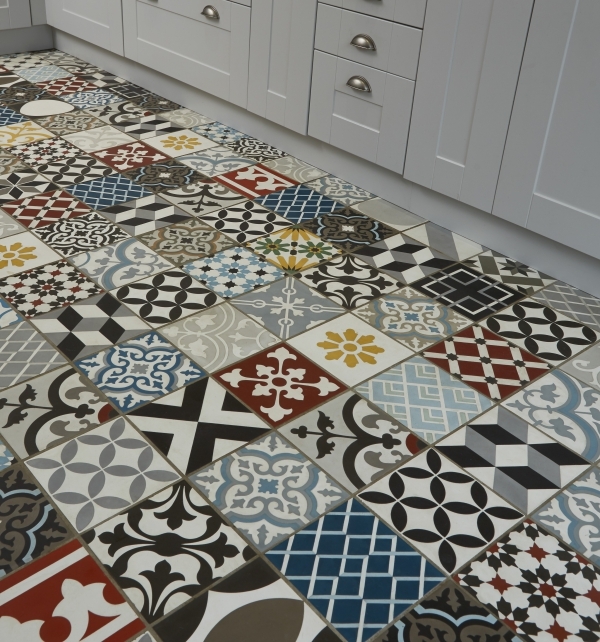 Distinctive, larger scale ‘Victorian’ and ‘regency’ style tiles are cropping up more and more. 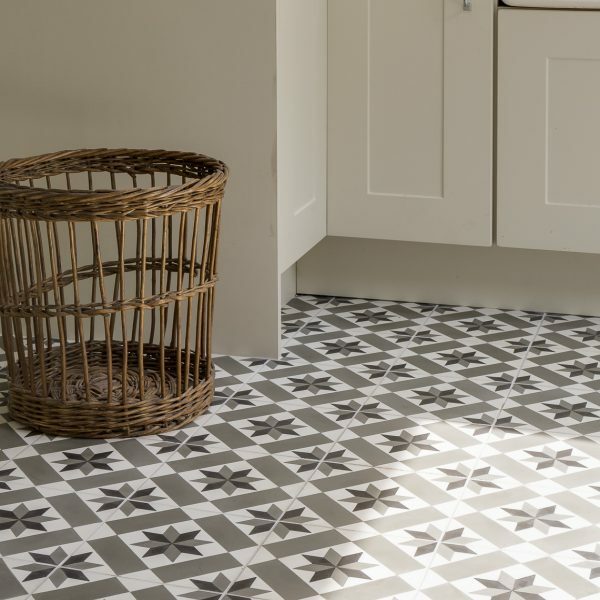 Feature flooring, as opposed to more muted sinking-away style flooring is becoming the way to make a statement in your kitchen design. Below are some examples of feature flooring tiles from our major flooring partner Cá Pietra.